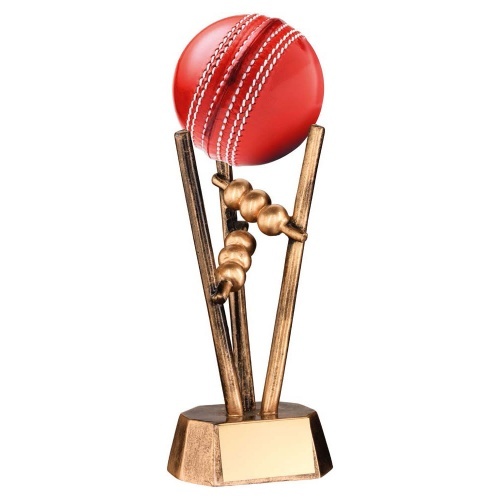 A cricket ball holder trophy that is perfect to hold and display the actual match ball from a particular game or used for a memorable achievement. Crafted in resin with an antique bronze and gold colour finish, these trophies stand 6.5in (165mm) tall and include an engraving plate on the base. Please note, the ball shown in the product image is for demonstration purposes only - no ball is supplied with this cricket trophy.